Laboratory Techniques in Rabies Diagnosis, Research and Prevention provides a basic understanding of the current trends in rabies. It establishes a new facility for rabies surveillance, vaccine and antibody manufacturing. It offers clarity about the choice of laboratory methods for diagnosis and virus typing, of systems for producing monoclonal and polyclonal antibodies and of methods for testing potency of vaccines and antibodies. 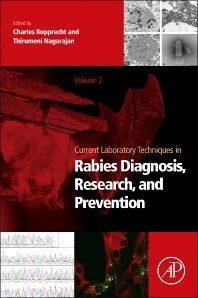 The book covers advancements in the classical methods described as well as recent methods and approaches pertaining to rabies diagnosis and research. Students, researchers, health professionals, biologists in microbiology, industry personnel and laboratory personnel in the vaccine, biopharmaceutical and diagnostic industry. Professor Charles E. Rupprecht is the Director of Research at the Global Alliance for Rabies Control and is the previous Director of WHO Collaborating Center for Rabies Research. He has won numerous federal service awards including the National Center for Infectious Diseases Public Health Protection Research Award in 2005. 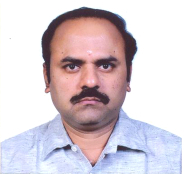 Professor Nagarajan Thirumeni is a professor in biotechnology and the manager of Indian Immunologics Ltd. as well as the general manager of research and development in the biologics division of E. Ltd, Hyderabad, India.